I have encountered others now who went through a similar experience. It is not easy to recover or heal from, and many don’t completely find their way through it. It takes great courage and determination to fight through this condition. In fact, when it happened to me, most told me that I would never work or function again like I once did. That’s a very hard thing to hear when you are 26 years old. 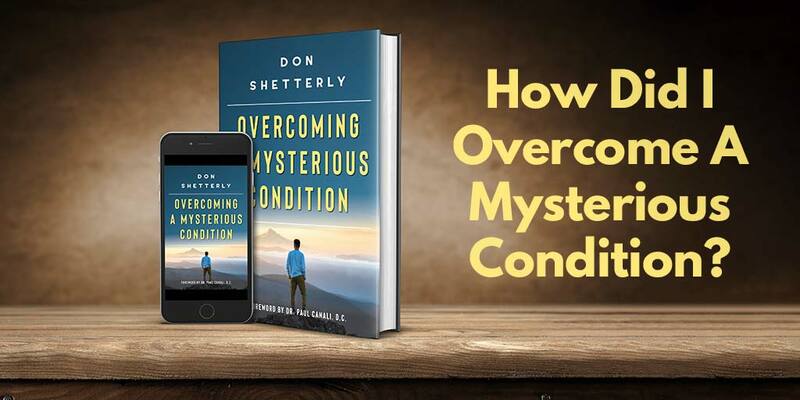 Today, I’m officially launching my book on “How did I overcome a mysterious condition?” It is now available on Amazon. Many that have read it have shared impressive stories with me and praiseworthy compliments. This book is not just about the experiences that I lived through which brought on this condition. It is about how I found my way through it when there were no resources to help me. Through sharing my story and the healing process, I believe the concepts in the book will help others. I feel that what I have learned can be some of the major ingredients in your own healing recipe. It has taken me from 1991, when I first went through this mysterious condition, until now to put things in perspective. 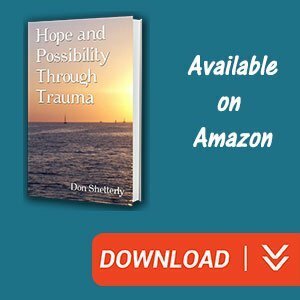 There was no easy part of this process, but by healing my life, I offer up concepts that I hope will help heal many in this world. I’m an independent author so there’s no big publishing company behind me with millions of advertising dollars. I rely on those that hear about this to be the ones that buy this book. This is a very personal story that I hope resonates and helps all who find it. 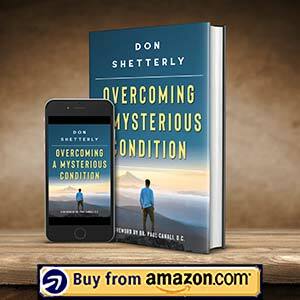 I welcome everyone who buys my book because it is the answer to how did I overcome a mysterious condition. Please know that when you purchase this book, my heart will be forever grateful to you. If you so choose to leave a review online, it will help my book be found by others in this world. Thank you for sharing in this journey. Please let me know how it impacts your life and that of those you care for deeply. 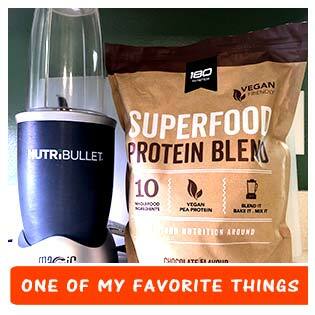 See some of the comments and reviews.